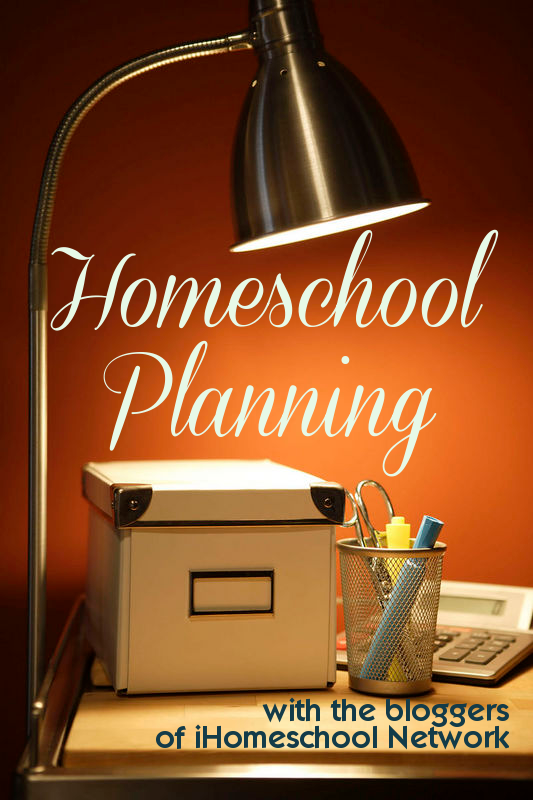 I’m an eclectic Charlotte Mason homeschooler – why would I be in love with unit studies? They are wonderful modes for immersing children into real-life learning! 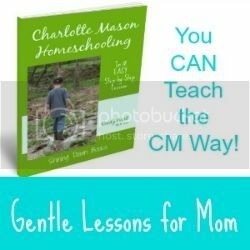 Not everything we do in our homeschool revolves around a unit study, just like not everything we do follows Charlotte Mason’s principles exactly. We do what fits for our family in various seasons of learning. That typically looks like a CM-style day for some or most of our subjects and unit study style learning for whatever subjects happen to fit into our current unit theme. From the time I used the Five in a Row curriculum with my little bitties up until now, I’ve loved unit studies. Whether they are literature, science or history based, unit studies weave our learning together in meaningful and often exciting ways. 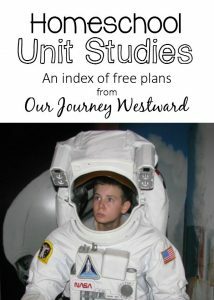 I personally love to create my own unit studies since they can be designed to meet our needs perfectly; however, there are certainly oodles of resources (free and to buy) available if planning a unit isn’t your thing. When I post on my blog about designing unit studies, I get loads of traffic and comments, which lets me know that this is a hot topic. 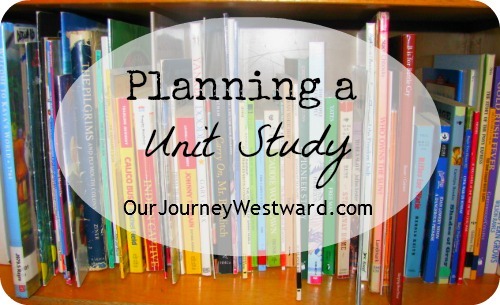 So begins a four-part series of how I’ve added unit studies to our school plan over the years. In this post, I’m writing briefly about how to design your own units. Next time, I’ll dive into the subject of adding meaningful projects for unit evaluation (another hot topic.) 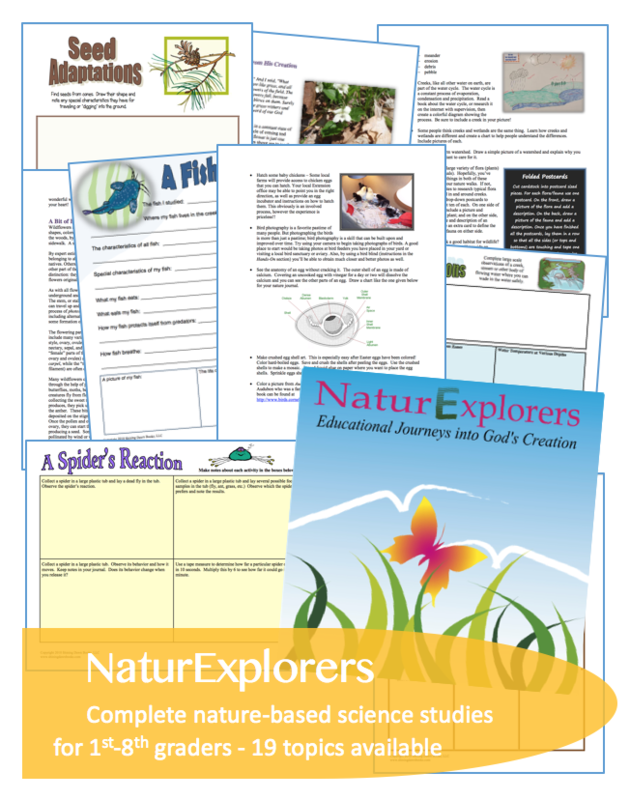 And finally, I’ll show you how I’ve used literature, science and history topics to design studies in our homeschool. I hope you’ll ask questions when you have them since I can’t possibly cover everything in one article. I’ll be happy to answer as many questions as you can think of! A. How do I choose what to study each year? Of course, I don’t limit myself to only doing these units or studies each year. I do make sure each of these is covered in its appropriate year, though. I also include nature study (biology) each and every year. I used to follow a plan of teaching history three days a week and science two. This seemed to drag each study out way too long, so we now complete unit study concepts in blocks of time. In other words, we focus on a science unit until completion then move into a history unit or the occasional unit based on a piece of literature. My children and I really like delving into a particular history or science subject. We’re able to check out all sorts of library books, books on tape and videos that go with the theme. We’re able to include whatever math, language arts or other subjects that might fit with the unit. We don’t have to stop learning about something just because we’ve already done history three times in the week. And, we’re able to end the unit and move onto something else when we’ve soaked in all we can handle. B. How do I plan my units? I always start by gathering information and supplies. For instance, if I’m going to do a unit on Slavery and the Civil War, I’ll start by going through all my files, curriculum guides and bookshelves to see what I already have by way of ideas and resources. Oh, and I’ll also check my computer files for e-books and other resources I’ve stashed away. I think I need to stop here and let you know that I keep fairly organized files, shelves and computer files, so the initial gathering of materials doesn’t take long at all. All my resource books for history are placed in chronological order on a bookshelf. I also keep file folders on various topics. As I come across a great idea that I don’t want to forget, I copy it or tear it out from a magazine and file it in the appropriate folder. I keep history related literature books together on a bookshelf so they are easy to find as well. I suppose you might like to know that I have a folder on my computer for each academic area, so I can stash e-books in an organized way, too. 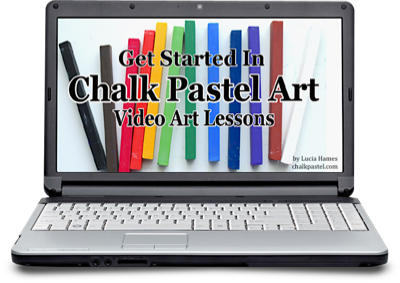 And, of course, I keep a crazy number of Pinterest boards to round up great ideas as I stumble upon them. If I don’t have many resources on my shelves/computer already, I’ll go to the internet next and type in searches for free units based on the topic I’m planning. This will usually lead me to more information than I care to have, so I limit internet searching as much as possible. If I still don’t have enough, I’ll check the local library. 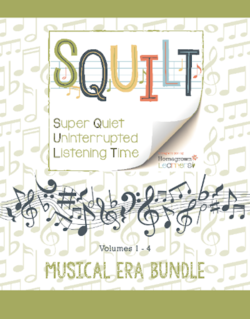 Often, by typing a keyword into the library’s search engine, I’ll find at least one really good book that offers teaching or activity ideas on the subject. From my resources, I start a list of important topics I feel need to be covered. I simply jot them down in a notebook. As I make topic notes, I’ll also jot down great activity ideas or literature suggestions I run across from the resources. All of this eventually fleshes out into a full unit! It will usually cover several academic areas, but I don’t purposely try to include math and language arts since those are separate subjects in our homeschool. I NEVER get to all the activities that are jotted down in the initial planning. As the unit progresses, I pick and choose what will work best based on how my children are responding to the study. I might note here that during the planning stage, I almost always pick out one or two pieces of living literature for my children to read during the unit. Plus one or two that I will read aloud and/or we’ll listen to on tape/CD. All of our units rely heavily on living literature! Either as I’m planning the unit or as we come to the end of it, I’ll be thinking about final projects, too. That’s the topic I’ll write about in the next article. I know this seems confusing. I’m trying to write it clearly, but it would be so much easier for me to have you over for some tea and cookies and just show you this process. It really isn’t as hard as it looks! C. Is there any sort of curriculum I follow? When we’re talking about unit studies, the answer is yes and no. If I come across a really great curriculum guide or library book with most of my topics covered, I’ll often make that my “spine”. In other words, I will use that book for the majority of our studies, but I never hesitate to add or take away from that book. An example of this would be using a prepared lapbook unit. That lapbook unit will provide much of the material for our study. But, if I come across a hands-on idea that seems like it will help the children understand something better than the particular lapbook activity, I’ll ditch the lapbook activity and do the hands-on idea instead. 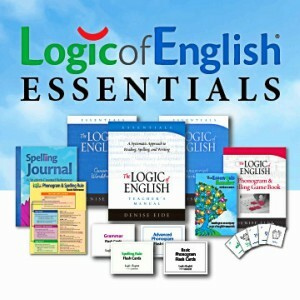 I have used in the past, and probably will use in the future, some really good curriculum for my unit studies. I just rarely use them “as is”. In other words, I use them in ways that meet our family’s needs rather than how I’m “supposed” to. 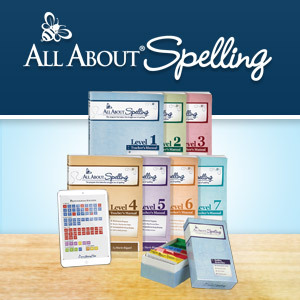 Some examples of great unit study type curriculum would be The Story of the World, The Mystery of History, prepared lapbooks from any company, NaturExplorers Studies, Apologia’s Exploring Creation Series , Considering God’s Creation, History Revealed , and History Through Literature. D. How do I prevent overload? Well, this question could actually have two meanings: How do I not overload myself as I go about planning and preparing units? AND How do I make sure not to overload my children with the unit? 1. How do I not overload myself as I go about planning and preparing units? I’ve been doing this a long time. In the beginning, I did overload myself. I spent WAY too much time planning, preparing, scouring the internet, searching the library, etc. Over-planning will burn you out on preparing your own units faster than anything else! 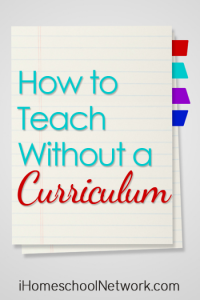 Use a good spine like a prepared hands-on curriculum and tweak it to fit your needs. Don’t try to pull in too many resources for ideas. Don’t try to teach everything about a subject and don’t try to do every wonderful activity you come across. Keep units shorter, rather than dragging them out too long. 2. How do I make sure not to overload my children with a unit? Oh, I have! And, believe me, I knew it! When you’ve planned too much or the unit has gone far too long, your children will not hesitate to let you know they’re tired of the subject! I’ve tried to keep my units shorter and save project time (next post) for the rabbit trails that interest my children most. This way they get the basics, while delving deeper into parts of the unit that are most meaningful to them. We all win that way! 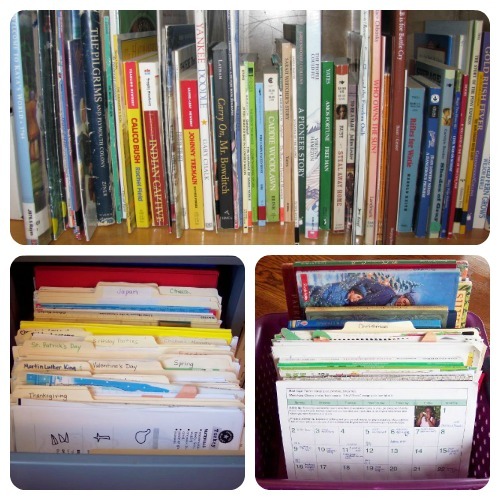 Over the years, we’ve enjoyed many unit studies in our homeschool. You can find an index of all those studies by clicking the image below. 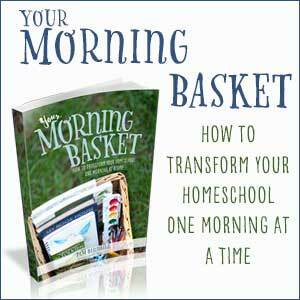 Cindy … I just found your blog and have really enjoyed learning about the CM method of homeschooling. Does it work for high school students too? I’m just about to start our homeschool adventure, but my kiddos are teen and pre-teen. I’d appreciate your thoughts! Heather – YES! 🙂 We are using more textbook curriculum with longer lessons than we have in the past, but most of the key elements are still very much a part of our homeschool high school. Living literature, nature study, poetry, handicrafts and more. It’s been great for our family! I’ve recently discovered your blog, and I think I’m in love! Lol! Ok, maybe that’s a bit strong, but yours seems to be the first homeschool blog I’ve found with just the mix of CM basics plus lots of living math and science and hands-on studies that I would like to include in our own homeschool. I’m intrigued by your unit studies, and I’m wondering, do you do this with all your children in the same unit, or do you primarily keep unit studies to the elementary years, while jr high and high schoolers are more independent? I have 4 children, each 2 years apart, so I’m sure I would combine my children somewhat, but would you ever have separate unit studies for each child, with several going at once? What age do unit studies get phased out, if ever? I’m looking forward to gleaning ever-more from your blog, as well as your lovely ebooks (especially hoping to get your living math book asap!). Thank you for all the resources you’ve made available, and for taking the time to respond! My two oldest are three years apart. They did all of our elementary and middle school unit studies together until my daughter moved on to her own studies in high school. Once they reach high school, we transition into traditional texts for some things and student-led/interest-based studies for other things. (Kind of like unit studies that they plan and I approve.) When they were doing unit studies together, we kept to the same topic and read lots of the same books together. Sometimes they had the same assignments, sometimes not – but we were all on the same topic. When they had similar assignments, I would simply expect a lot more depth from my older one. Wishing you many fun learning moments with you crew! I Have been homeschooling for 15 years now and find it interesting that we have all of the same books as you do in that photo and we have settled on a four year rotation and chronological studies like you have. It’s just what works best for us and my kids really know history and science. We all love it! The chronological cycle just makes sense, doesn’t it? It’s been wonderful for us!